archives | Out of the Box! The SHSU University Archives is currently processing nearly 3,000 pieces of older format audio-visual materials received from the Criminal Justice Media Center which included fifty-one 16mm motion picture films. Within these fifty-one motion pictures we discovered three empty film boxes. The film box pictured above, (post marked December 27, 1968) caught our eye here in the Archives because of the return address combination of Los Alamos Research Labs in Los Alamos, New Mexico, and the Massachusetts Institute of Technology (MIT). This box came originally from the Los Alamos Scientific Labs Library and was probably sent to MIT many times. Note the multiple stickers from both places. Seeing this label presented an intriguing mystery. 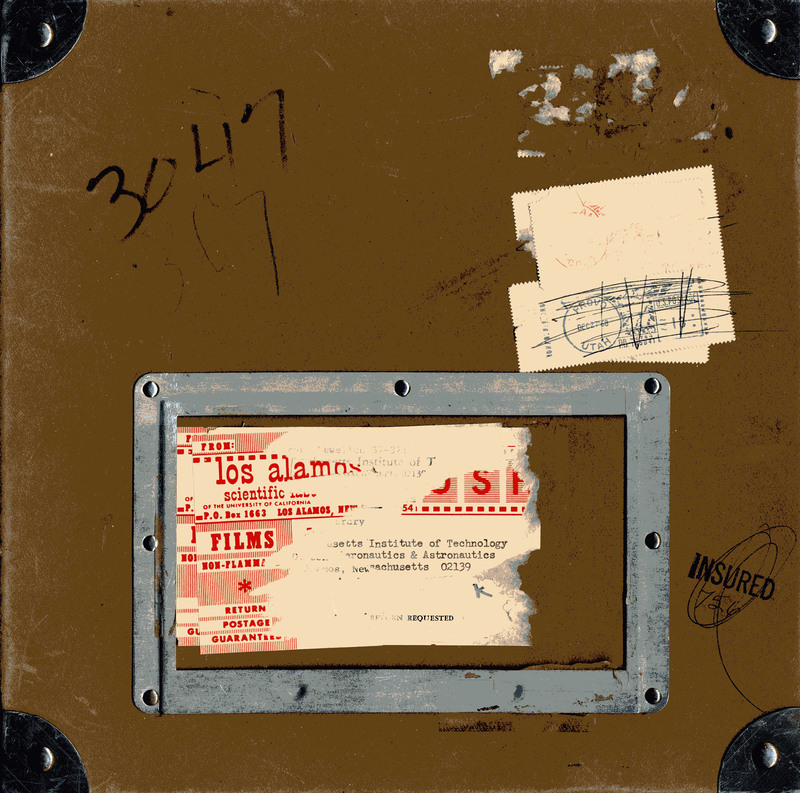 What happened to the film that was in the box, what was the title and content of the film, was the film something top-secret, and how did the empty box end up here in the older Criminal Justice audio-visual materials. So far we have found no documentation to explain the empty case. The answer to this mystery is likely much simpler. Back before VHS, digital streaming, or Red Box, there was 16mm films and services that rented out motion pictures films across the country. Generally educational in nature, you would request a certain film, view it and sent it back and then the service would send it out again to the next requester. 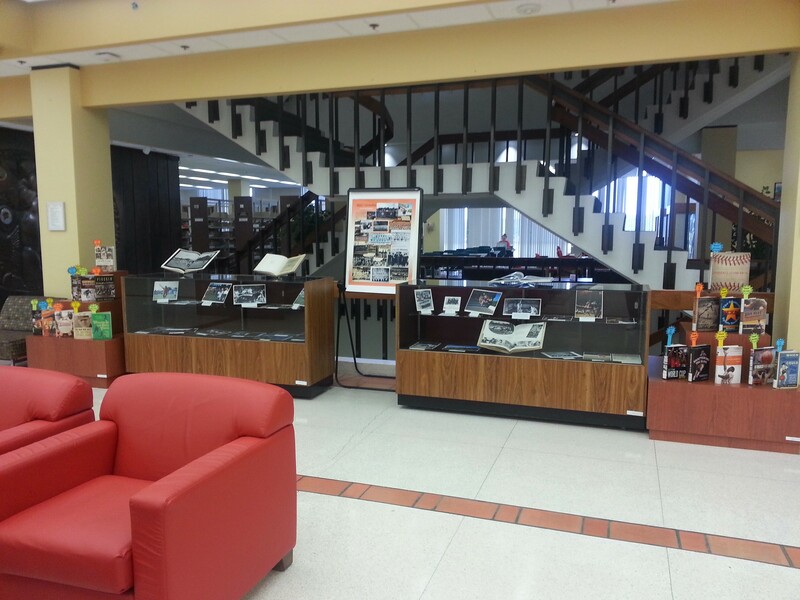 Come visit the empty film box or tour the SHSU University Archives. We are open Monday through Friday, 8-5. Yes Virginia, it does snow on the SHSU campus. When it does it brings out the BearKitten in our BearKats. 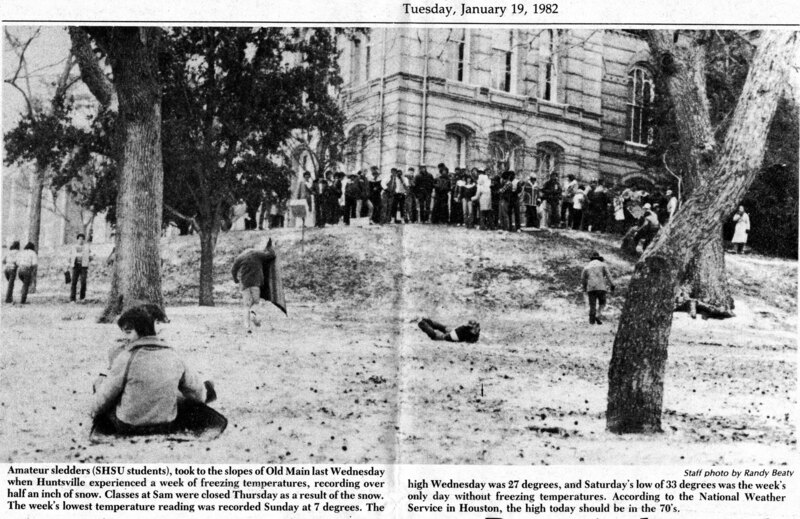 In this Houstonian newspaper clipping from January 19, 1982, SHSU students are “sledding” down the Old Main Hill. At the top of the hill you can see the Old Main Building which stood where the Old Main Memorial or the “Pit” is now. In less than a month the Old Main Building would be lost to a tragic fire on February 12, 1982. 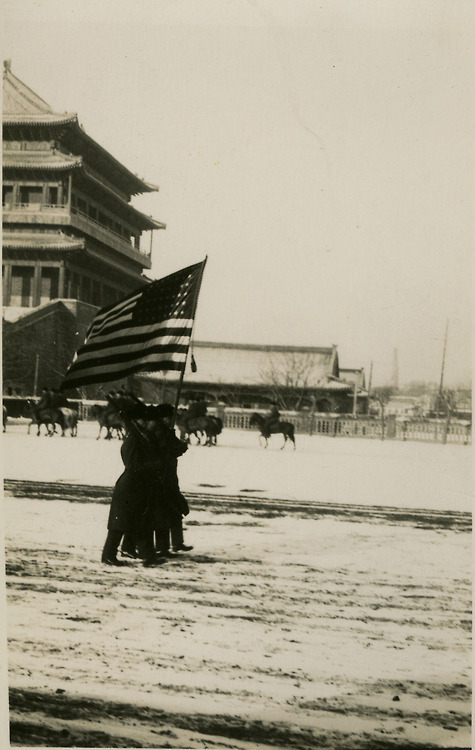 For more information on the Old Main Building or snow on the SHSU campus come visit the University Archives. Jean-Baptiste Alphonse Karr was the first person to quote the saying, “plus ça change, plus c’est la même chose” translated as: the more it changes, the more it’s the same thing. Or as we would say, “The more things change, the more they stay the same”. Parking at Sam Houston State University is no exception. This newspaper clipping is from, The Houstonian, dated September 30, 1970. 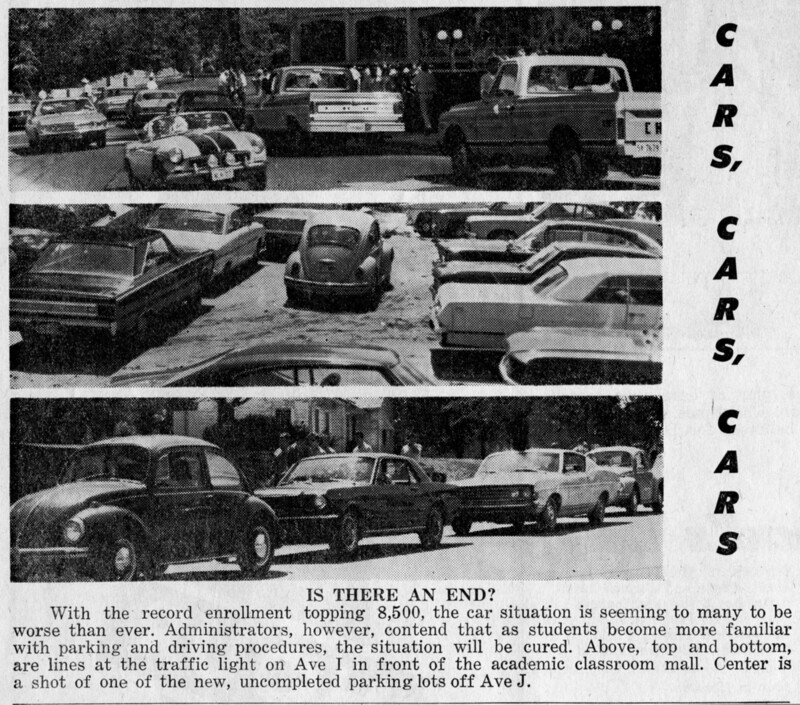 As you can see, 44 years ago they had the same parking woes we have today. In 1970 there were 8,500 students and in 2014 we have hit over 19,000 students. You do the car math. Too many cars; not enough space. 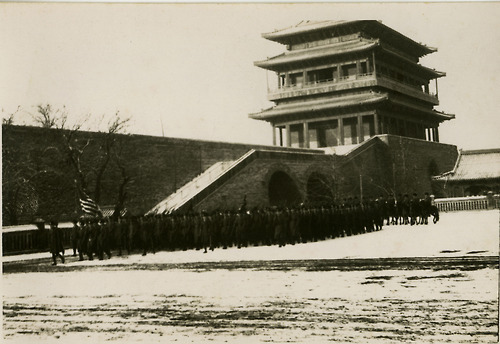 Note in the top photograph (front of AB-1) in 1970, Ave J went right through the mall area. It wasn’t until 1979 that this part of the Ave J was closed and became the mall area for the Centennial of Sam Houston State University. 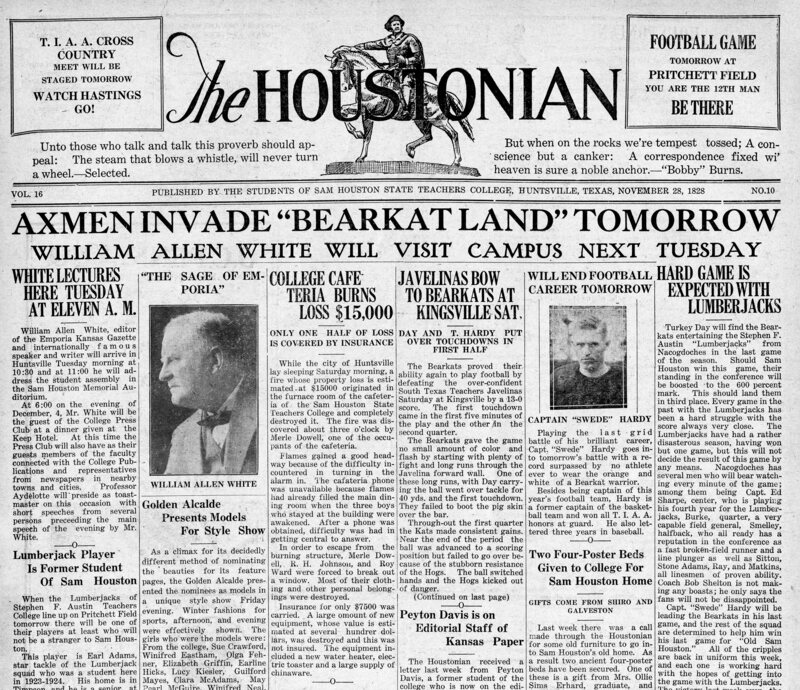 The original paper copies of The Houstonian can be seen in the University Archives. 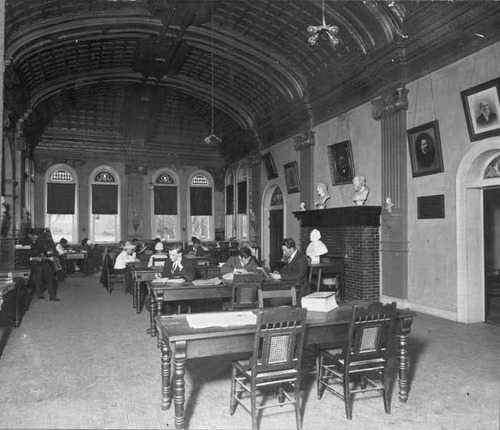 This is a photograph of students studying in the Peabody Library in 1915. The Peabody Library, which began as a one room library in Old Main, was constructed in 1902. It served as the main library until 1929 when it was moved to the bigger Estill building. After renovations in the 1980s, it was rededicated in 1991 and became the home of University Archives from 1991-2004. The building now serves as a social hall for meetings and events. 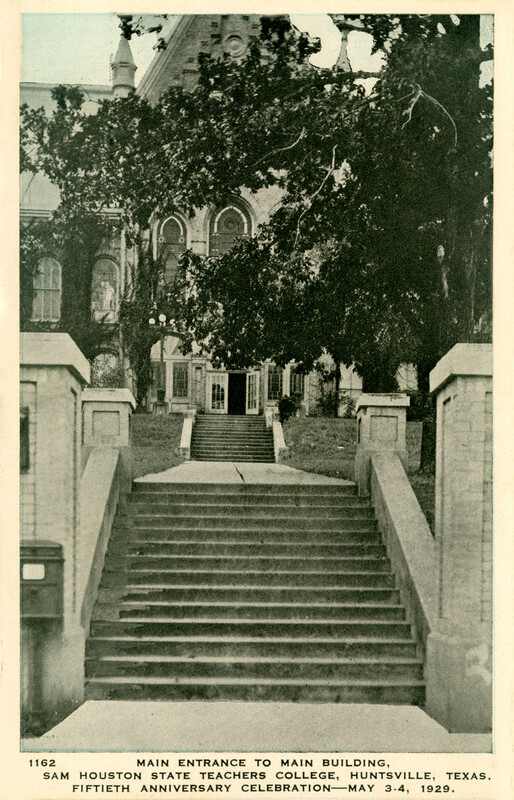 A postcard of the steps leading to Old Main in 1929. The postcard was created for the 50th anniversary celebration of the college. 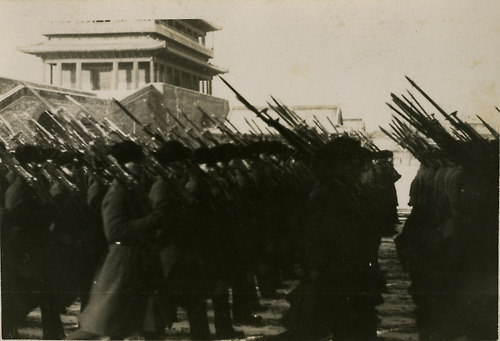 A postcard from the S.C. Wilson Collection that was made to celebrate the 50th anniversary of the Sam Houston Teachers College in 1929. The school was founded in 1879 when it was called the Sam Houston Normal Institute. It became the Sam Houston State Teachers College in 1923. 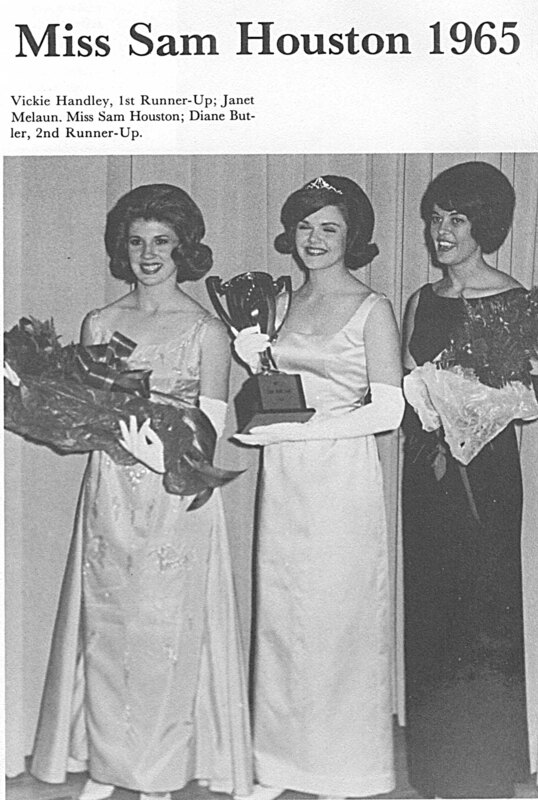 From 1965-69, it was Sam Houston State College. In 1970, it became Sam Houston State University.